Back in January, in the co-main event of UFC 220, Swiss knockout artist Volkan Oezdemir failed to grab the UFC light heavyweight title from champ Daniel Cormier, succumbing to a meteor shower of second-round ground-strikes. Showing true championship spirit, however, Oezdemir has not been deterred by this failed title bid, and is determined to work his way back to a title shot in No Time at all. 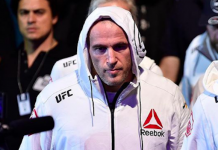 Oezdemir’s first step back in the direction of title contention will occur in the main event of the UFC’s July 22 trip to Hamburg, Germany, where he’ll battle PRIDE legend and former UFC light heavyweight champ Mauricio “Shogun” Rua. While Oezdemir is happy with this Shogun matchup, he was originally hoping to battle fellow European star Alexander Gustafsson next. 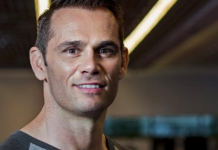 Provided he defeats Shogun, he’s now hoping he can fight Gustafsson thereafter — perhaps even in his native Switzerland. If Gustafsson isn’t available, Oezdemir says he’d also be happy to fight Glover Teixeira, who battles Ilir Latifi in the Hamburg co-main event. Whoever he encounters in his next few fights, Volkan Oezdemir is hoping that anther win or two will be enough to push him back to a title shot. Do you think Volkan Oezdemir will topple Shogun in Hamburg? 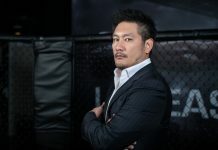 This article first appeared on BJPenn.com on 5/3/2018.